Box of 12 monster vanilla sponge cupcakes. 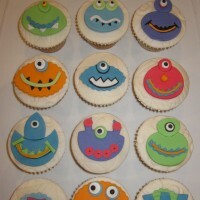 Great cupcakes for your little monsters! 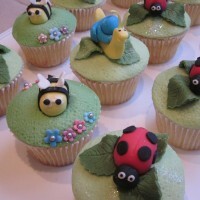 Box of 12 garden bugs vanilla sponge cupcakes. These cupcakes are great for any party. 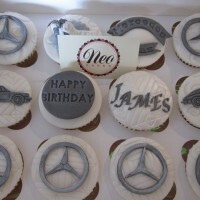 Box of 12 Mercedes Benz or Porsche vanilla sponge cupcakes. Perfect for any man or woman that adores their car. 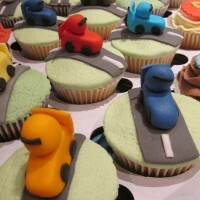 Box of 12 Go-Kart vanilla sponge cupcakes. Boys just seem to love them. 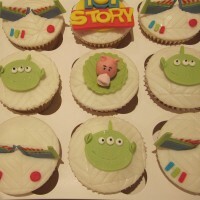 Box of 12 Toy Story vanilla sponge cupcakes. Showcasing all your favourite Disney Pixar Toy Story Characters. 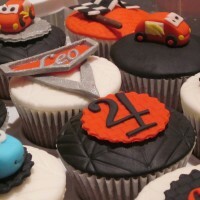 Box of 12 Cars vanilla sponge cupcakes. Showcasing all your favourite Disney Pixar Cars Characters.